The Bill of Materials, or BOM provides valuable information about the components in a netlist. This information is often key for project setups and, when available, is used by XJDeveloper to make project setup suggestions. This information is often taken from a separate BOM file or straight from a board’s netlist. With XJDeveloper 3.7 the volume of BOM data extracted for many of the netlist formats has increased. If information is available in the netlist XJDeveloper will automatically extract a combination of BOM Description, Value and Part Number when added to a board. Additional data from the netlist can now be imported manually by the user. When adding or editing a board click the new Configure… button by the netlist selection to launch the Import BOM dialog for the current board netlist. This button is only enabled if BOM data is available in the netlist. This dialog has also received a few tweaks, the two separate sections for ODB++ and any other netlist, and their corresponding radio button selection, have been condensed into a single netlist selection option. This hopefully makes the netlist selection more intuitive to use and presents a cleaner interface. The dialog starts at the column assignment step, where the property name from the netlist is displayed as the column header. Current BOM field assignments appear in parenthesis next to the header names. In addition BOM data can now be extracted from suitable pdf schematic files where the BOM information is embedded as annotations. 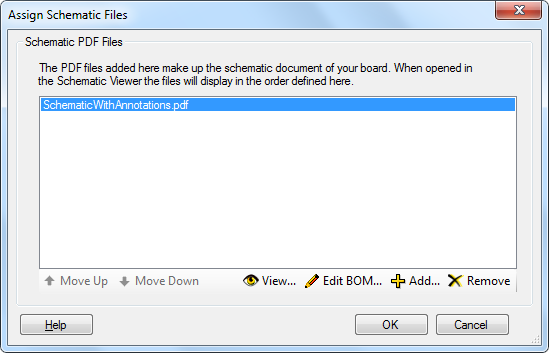 XJDeveloper will prompt the user to import BOM data when a pdf containing suitable annotations is added to a board through the Assign Schematic Files dialog. Different tools use different methods to store data within the pdf document so some pdfs may not be compatible with this feature. 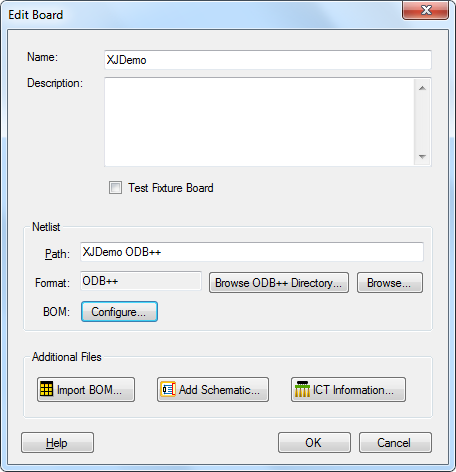 The assignments for the data can be altered through the Edit BOM… button in the Assign Schematic File dialog. 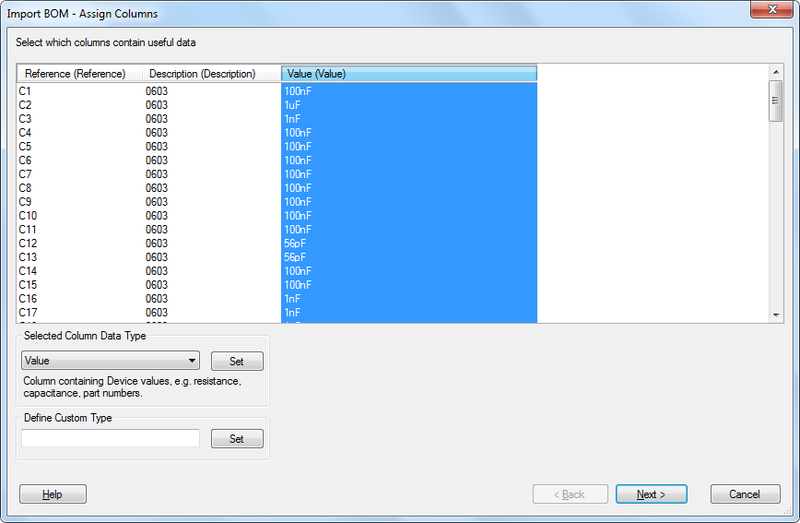 The Import BOM dialog steps are the same as for the netlists. Additionally Schematics can also be viewed in the schematic viewer directly from the Assign Schematics Files dialog. The handling of BOM data is now more flexible, data may be taken from any combination of available sources, rather than just a single source. Each BOM field can only be assigned once across all sources. If the user attempts to assign a field that is already assigned in another source then a prompt appears to confirm the reassignment. The previous BOM Settings… button on the Boards Screen is now a drop-down menu with BOM File…, BOM Netlist… and BOM Schematic… options. These can be used to launch the Import BOM dialog for their respective sources.